Marvel Creek, in East Texas in the early 1930s, might be any small town in the South—rural bottomland bordered by the muddy Sabine River. The indigenous dangers—water moccasins, wild hogs, skeeters “big enough to carry off a man and eat him and wear his shoes,” and occasional forays by the Ku Klux Klan—keep people cautious. But then 11-year-old Harry Collins and his 9-year-old sister Tom discover a murdered woman’s mutilated body in the woods. It’s clear there’s an even scarier predator around town. Popular opinion says the murderer is a Travelin’ Man, an outsider who’s sold his soul to the devil and moves on, leaving random brutalized dead women in his wake. Harry worries more about the possibility of it being the Goat Man, a feral human with horns who’s said to roam the woods around the river. There’s also a seriously inbred clan of males well known for their lack of respect for anyone female or black person of either gender. Harry watches his dad’s investigation run into one wall after another. Then a white woman is murdered, and despite Jacob’s best efforts, an innocent black man is lynched for the murder—right in front of him and Harry. Jacob is shattered, “kicked in the soul.” Harry is confused, but determined to put an end to the devastating murders. And the murderer continues to hunt fresh victims. Multiple award-winner Lansdale has a gift for storytelling, and this novel, declared a New York Times notable book when it was originally published in 2000, illuminates that gift like stained glass. 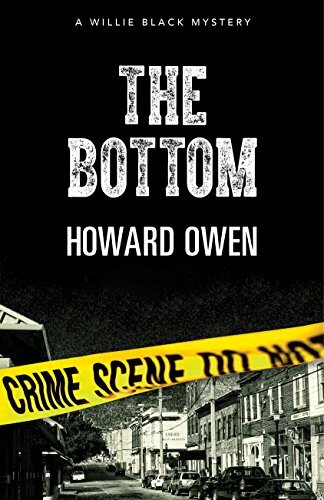 The Bottoms is brimming with colorful characters, a tense, genuinely frightening plot, and a setting so vivid you can smell the greenery along the riverbank, the sun-baked dust along the road, and the moist air just before the downpour.